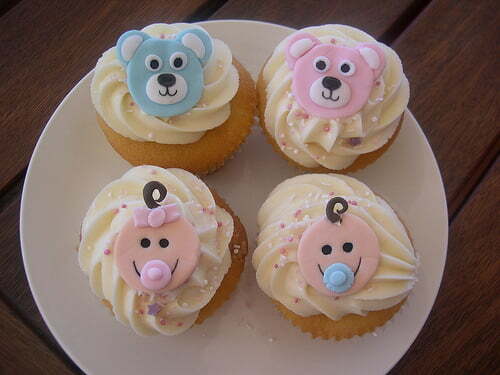 Guests at the baby shower always want something delicious to eat. 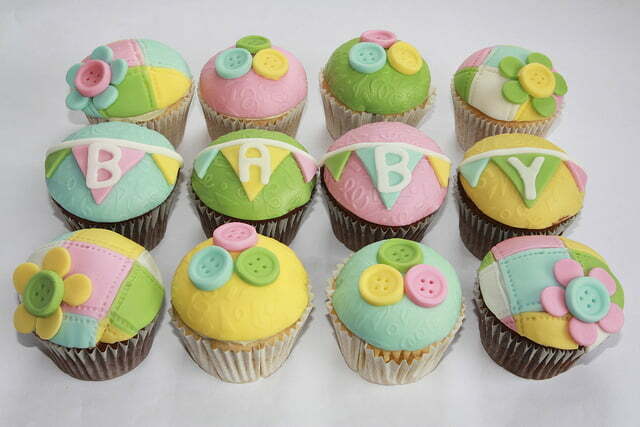 Would be a fun challenge to make a cake in the shape of baby bottles and sheet cake decorating looks like a crib. 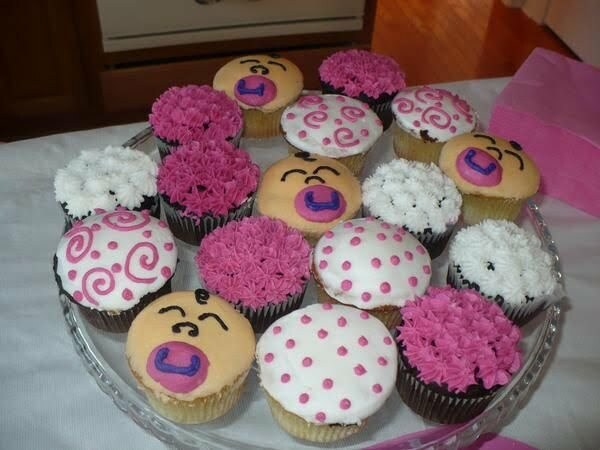 But if you like the idea of ​​the cake and not to make baby bottles or baby crib, you can use a simple and easy recipe to make a delicious cupcake baby shower. Some of the ingredients you need to make a cupcake, among others: ½ cup sugar, 2 eggs, at room temperature, ½ cup butter, at room temperature, 1 cup cornstarch, 1 teaspoon milk, ½ tsp vanilla, 1 teaspoon baking powder, Blue food coloring, pink food coloring, a muffin pan lined with baking paper cups, white frosting and the cake Preheat oven to 375º F.
Enter the butter and sugar into a bowl and mix with an electric mixer at medium speed until light and fluffy. Then add the eggs one at a time, beating until combined. Add milk and cornstarch and continue to mix 4-5 minutes or until well blended. Next, add the baking powder and vanilla until well blended. The next step is to divide the dough into two small bowls. In each bowl add just enough pink food coloring to turn into a cake batter pink. And add just enough blue food color to blue change the dough in a second bowl. 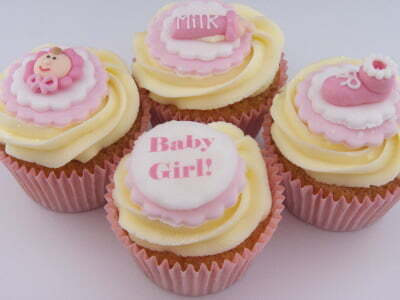 Spoon the batter into the cupcake molds and bake for 15-25 minutes until a toothpick comes out clean amid installed. Remove from oven and allow to cool completely. Frosting cupcake with white frosting divide into two small bowls. The first bowl of pink and another bowl with blue. Iced cupcake with frosting colors accordingly.